Which scene from third chapter is your favorite? Which scene from first chapter is your favorite? Do آپ think that Amu is going to cenfess her true fellings for Ikuto in the end? چنیں پرستار: yes,ido think that! Nominate Amu for 2012's International Saimoe League! 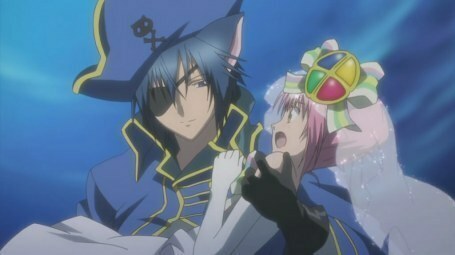 Vote for Ikuto in International Saimoe League 2011! Could someone help?! In Shugo Chara like what happens to Ran, Miki, Suu and Dia? Where do they go?! Era un día nublado en los campos alemanes mientras que en uno de los Tres alemanes nazi de “Carga” se encontraba cientos de personas entre ellos una joven, de alrededor de 15 años. Summary: Amu just transferred to a new high school, and soon after, she meets Tsukiyomi Ikuto. The fourth book of shugo chara encore came out around August, and it was also the final D: but some good news to those of whom who are amuto شائقین it turned out to be a amuto ending! !Now that i found this out i'm much less mad at the ending to the anime, so sorry for throwing a tempertantrum on my گزشتہ مضمون *3*. Im sorry that im the carrier of bad news; but shugo chara had its last episode Friday March 25 2010. We all thought it was going to be a Amuto ending but it wasn't. Tadase kissed Amu on the cheak towards the end of the episode, and کہا that he would "always be سے طرف کی her side" making it basicly made it a tadamu ending(which sucked سے طرف کی the way). As آپ guys may all know, Ikuto kissed Amu. It happened in Shugo Chara!! Doki Chapter 43. It all started at the amusment park in the گزشتہ chapter. Ikuto told Amu that he is going away and will never see her again. Then in Chapter 43 at the airport, She runs up to Ikuto and Ikuto says, " I have something to tell you. Because I have already دیا in. " Amu is suprised, and he says, " I love you." And Amu جوابات in a , " HUH!" And then they kiss!!! Just click on shugo chara یا shugo chara encore scroll down and you'll find the chapter names, and just click on whatever one آپ want. a comment was made to the poll: Which category are آپ in? a comment was made to the poll: Do آپ like Tadase? a comment was made to the poll: ru tadase haters?? ?